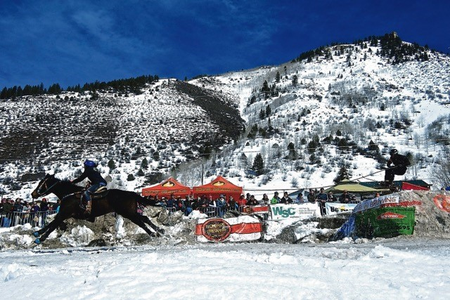 go MINTURN is seeking to secure funding for the 2016 Minturn Skijoring event. Only three skijoring events take place annually in Colorado. A personal "thank you" from the go MINTURN team. Ticket to skijoring kick-off party. Two tickets to skijoring kick-off party. Two banners on event fencing. Logo on event web page. Four tickets to skijoring kick-off party. Banner on one (1) sport jump. Logo recognition in media advertisements. Banner on one (1) open jump. There is a total of 2 pledges.